What do you get when you mix 40 years of worm experience, a devotion to improving the quality of your product, and an eccentric drive for success? 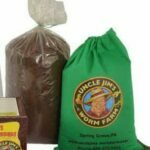 You get Uncle Jim’s very own, specialized worm feed recipe! 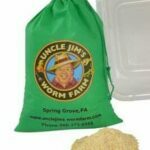 (trust me, it adds up) Day after day, Uncle Jim would search and experiment with various foods, grains, materials, products, and feed, until 40 years later, he perfected his worm recipe. This material is the very food that we feed the worms on the farm. It is nutritious, organic, tasty, and will leave your worms salivating for more! 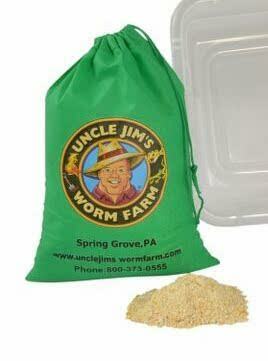 This food keeps your worms parasite-free, healthy, and organic. Never before has a worm feed been so meticulously perfected. HIGHLY RECOMMENDED! The worms love your food!!! just great, order received promptly. Thanks again.